Just in from Washington School University of Medicine, in St. Louis: Consuming one to two alcoholic drinks more than three times a week raises the risk for all cause mortality. This sobering data was gleaned from 340,668 individuals from the National Health Interview Survey, and 93,653 individuals from the Veterans Health Administration outpatient medical records. Put another way, if you drink just one beer or glass of wine more days of the week than not, you risk premature death, especially from cancer. An alarming addition to this new info is the fact that about 13% of Americans take part in ‘high risk drinking’, which is defined as four drinks for women or five or more drinks for men, at least one day of the week. According to the JAMA Psychiatry, this data, unfortunately, seems to be on the upswing. Could it be time to take stock and see if you have unwittingly fallen into the trap of using a glass of something to unwind when you get home from work? Why not change that habit, and instead go outside for a walk, bike ride, or kick a soccer ball around with the kids? Exercise has been shown to be a powerful anti-depressant and could lead to a rapid five pound weight loss, especially coupled with cutting out alcohol several nights a week! If nothing else, take a brief time out and evaluate your consumption ~ see if it’s where you want it to be for optimal health, vitality and longevity. For more health and fitness blogs please visit us at www.bbodyworks.com Thank you! When I decided to get a personal trainer to help me meet my fitness goals I asked a good friend for a recommendation. She said Lynn was the person to go to. She was right and here's why. As a mature woman with an active lifestyle, I wanted a trainer who had experience with my age group, had realistic expectations that would challenge me without hurting me and who had a wide ranging skill set. Lynn is extremely knowledgeable, professional and organized. She is also friendly, warm, funny and very engaging. Her instruction is clear and she pays close attention to form. I've read the books and watched the videos, but there's nothing like a skilled, supportive trainer watching and coaching. She is also, of course, designing a program tailor made to my strengths and weaknesses that supports my fitness goals. She is willing to come to my house and bring equipment with her. A huge plus! My workouts with Lynn are physically satisfying, give me lots of new information and are fun. I would highly recommend her. I've never really been one of those people that enjoys exercise. However, I'm headed off to college in the fall and since I was hoping to start school a little fitter and a little slimmer, I started working with Lynn. She has tailored a fitness plan to fit what I need, taking care to work around physical limitations such as past injuries and back pain. Beyond just being my trainer, she is fun to talk to and she shows genuine interest in what I have to say. 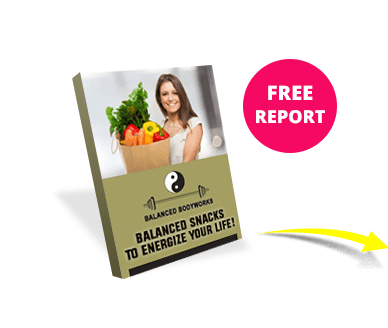 She emphasizes the importance of regular exercise, eating a balanced diet, drinking plenty of water and getting the right amount of sleep to promote overall health. She also has a great sense of humor, which is always a bonus. A few jokes to lighten the mood during a tough work out really seems to do the trick. I've been able to stick with the fitness plan Lynn has set for me far longer than any kind of exercise plan in the past. What a difference having Lynn as my Fitness Coach! She has put together a plan specifically for me, to make me stronger and more fit for my active lifestyle. With her guidance I can do this workout in my own home. I was stuck with the extra pounds I’d acquired, and she coached me on how to eat. This eating plan has really worked for me and is something I can do for the rest of my life. Not only do I appreciate her professionalism, but her friendship as well. I look forward to every session.